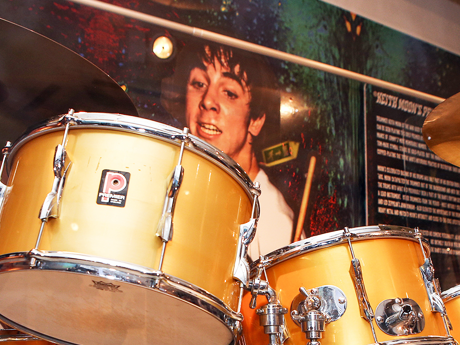 Here at the Beatles Story we like to take inspiration from The Beatles' 1968 B-side Revolution and keep the memorabilia in the exhibition revolving. We aim for returning customers to see something they haven't seen before every time they visit our award-winning exhibition. 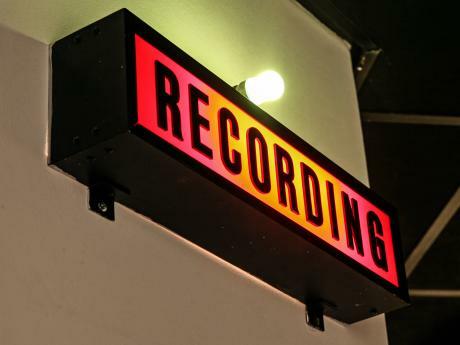 Angie Marchese: Director of Archives for Elvis Presley Enterprises During 2015 we will be showcasing new memorabilia here at the Beatles Story, Liverpool and we have some exciting artefacts lined-up. 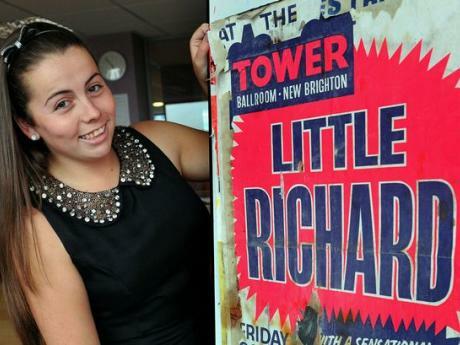 Earlier in February Director of Archives for Elvis Presley Enterprises, Angie Marchese ventured from Memphis to Liverpool to bring us one of Elvis Presley's iconic stage-belts. The belt was worn on stage in Las Vegas during Elvis' performance at the Las Vegas Hilton. Mystery: Memorabilia unveiled on Sunday, 15th December On Sunday, 15th February we will be announcing a new mystery artefact arriving at the Beatles Story, Albert Dock. This begins our 50th anniversary celebrations of Help!, the announcement will be made on our website, Facebook and Twitter. Last days: The guitar is currently in the Replica Cavern Club George Harrison's Maton MS500, the guitar that George played at The Beatles' last performance at The Cavern Club in 1963 will be leaving the Beatles Story, Albert Dock on Thursday, 12th February. If you would like to view George Harrison's Maton MS500 before it leaves the Beatles Story you can buy tickets for Wednesday, 11th February here. Most of the time when we bring new memorabilia into the exhibition it comes from a collector looking for a home for their prized possession; but for a poster that came into the exhibition last week the story is very different. 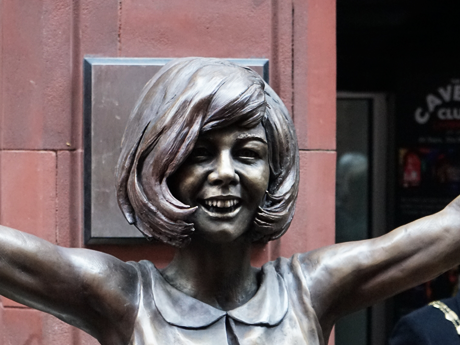 A new statue celebrating Liverpool-born singer and TV star Cilla Black was unveiled today, situated outside the Cavern Club on Mathew Street. The Beatles Story’s special exhibition ‘The British Invasion: How 1960s beat groups conquered America’ is scheduled to close permanently on 31st December 2017.